Ask the Expert: Should we refund for sightings? The short answer is, as a general principle, you cannot prevent guests from bringing in bed bugs. Thus, it is unwise to guarantee that it will never happen. The long answer is a little murkier. You offer a guarantee when you are confident that you can ensure no bed bugs will be brought in. It’s called a “warranty” when you know bugs may come in, but you are confident it will not happen so often as to make the total business unprofitable. If you offer a warranty against guests seeing bed bugs, you take a risk. In a location where bed bugs are common, this is a poor risk to take. Where bed bugs are uncommon, it might be worth the risk if it brings enough business to offset your losses. I do not live in such an area, and neither do you. German cockroaches (Blattella germanica) in particular are carried around by people, but not nearly as often as bed bugs. I have never heard of a company offering a warranty against hotel guests seeing a cockroach, but I have heard it in the restaurant business. This was started, as far as I can recall, by Al “Bugs” Burger in Florida back in the 1980s. Burger developed a very thorough German cockroach treatment protocol to be done after-hours, with strict preparation requirements. He charged a premium rate, but in exchange he offered a guarantee that if a diner saw a cockroach, he would buy his or her dinner — and if memory serves, that month’s charges were refunded to the restaurant, as well. In the pest control market of that day, it was a bold claim, but he was able to back it up. Burger bought a few dinners, of course, and some were for frauds. But mostly, he got business. His ingenuity earned him — and his wife and business partner, Sandy Burger — a place in the PMP Hall of Fame (Class of 2009). Today, the claim isn’t quite so outrageous. As cockroaches continue their comeback, though, I won’t be surprised to see such guarantees return. As for a hotel, it doesn’t make much sense. German cockroaches can be eliminated with relative certainty still, and hotel rooms aren’t as likely places to see them as are kitchens and dining rooms. 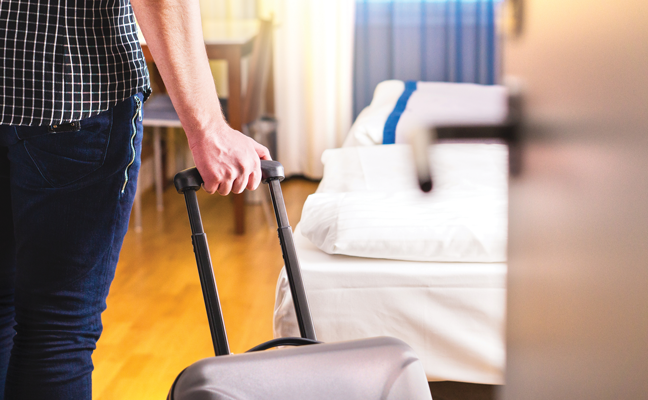 The bottom line: I wouldn’t recommend paying for hotel guests who saw a bed bug or a cockroach. A hotel that believes this is a valuable aspect of pest management is anticipating a lot of failure, and is probably not accustomed to complying with customary preparation procedures, or paying reasonable charges. Leave that business for someone else. The hotel guests may not sleep better, but you will. Email your questions about insect identification and pest management technologies to pmpeditor@northcoastmedia.net. Your questions most likely will be printed and answered in one of Pest Management Professional’s upcoming columns.